Who doesn’t love chocolate? This delicacy is actually one of the most nutrient-dense foods known to man, in its natural state, at least. Revered by kings and queens for thousands of years, it was actually used as currency throughout the Aztec world before being discovered by Europeans. That’s right, cacao, not gold (which was everywhere) was used as currency. Maybe they knew something the Europeans didn’t? What is cacao? Cacao is the seed (or nut) of the fruit of the cacao tree which is native to Amazonian regions of the Americas. 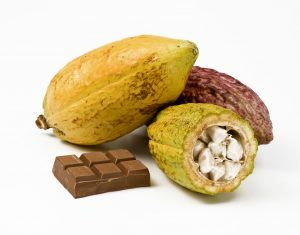 The picture above is cacao. Are you as shocked as I was when I first discovered what real chocolate looked like? The cacao beans are contained inside the white fruit that you can see on the one that is cut. 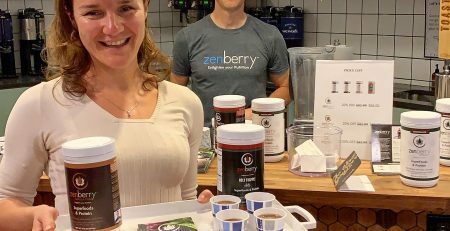 Cacao is the base for all of the chocolate candies you’ve eaten throughout your life but this processed chocolate is much different from the raw cacao when it comes to nutrition. When cacao is heated to make the typical chocolate candy, it loses much of its power. Then, if sugar and milk are added, they seem to counteract the benefits of this amazing superfood. So, try to avoid milk chocolate and if you must have processed chocolate look for organic, dark chocolate with 70% cacao or more. There are many great companies out there now that make their chocolate treats with organic cacao in its raw state. 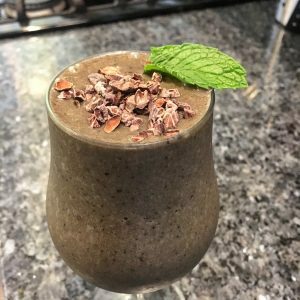 Let’s go over some of the amazing benefits and nutrients of raw cacao. Antioxidants: Raw cacao (not heated above 118 degree) contains one of the highest concentrations of antioxidants of any food. 100 grams of cacao ranges on the ORAC (oxygen radical absorption capacity) scale from 62,100 to 95,500! (Source: US department of Agriculture/Journal of American Chemical Society). To compare, we all know blueberries have a lot of antioxidants, right? Well, they are only 2,400 on the ORAC. The interesting thing is that if you heat cacao powder the level drops to 26,000. Processed dark chocolate is only 13,120 and milk chocolate is only 6,740. Eat your cacao raw! 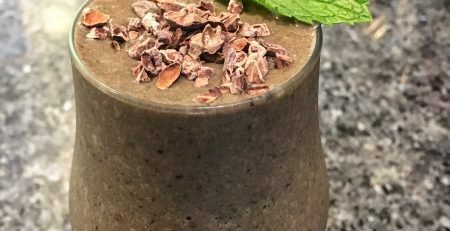 Magnesium: Cacao is one of the best sources of magnesium. This is important to know because about 80% of Americans are deficient in this essential mineral. 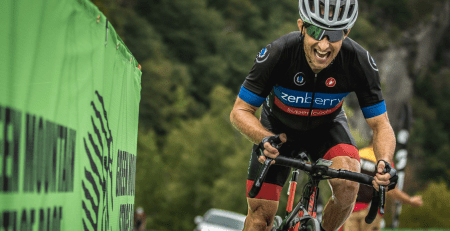 A lack of magnesium affects muscle function (cramping), bone strength, alkalinity (which is important for cancer prevention), and the cardiovascular system. Iron: Cacao contains 314% of the US RDA of iron in just 1 ounce (28g). Zinc: A great source of zinc which is an essential mineral playing critical roles in many functions of the body including the immune system, liver, sexual fluids (especially men), pancreas and the skin. Vitamin C: Only raw cacao contains vitamin C since heat destroys it (remember that whenever cooking any vegetables). 1 ounce (28g) of raw cacao nibs has 21% US RDA. Phenylethylamine (PEA): “The Love” chemical! This is the class of chemicals we produce when we fall in love which is probably why so many of us love chocolate, right? You know that warm fuzzy feeling? That’s PEA. PEA also increases focus and alertness and, along with high concentration of magnesium, helps to suppress appetite. PEA is destroyed by heat so it’s not present in processed chocolate. While cacao has no sugar, it is 50% fat (which is actually low compared to other nuts) but oddly it doesn’t increase the risk of obesity. The high nutrient density and PEA actually help one to eat less. So eat your cacao! 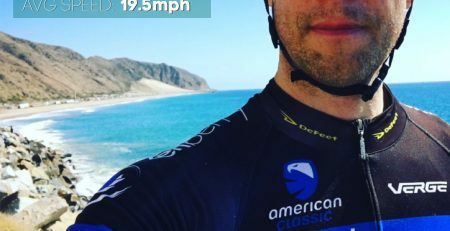 Anandamide: This is an endorphin you produce in your body after exercise. You know that “runner’s high” we exercise nuts crave? Cacao is the only plant where anandamide is found! 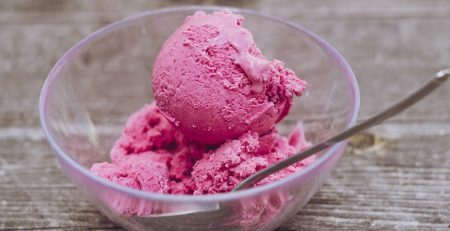 This is known as the “bliss chemical” and cacao even contains enzyme inhibitors that decrease our bodies’ ability to breakdown anandamide so we feel better even longer. I think nature is trying to tell us something, no? 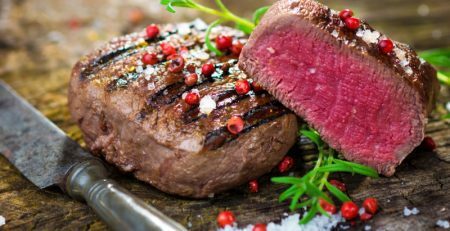 Tryptophan: This essential amino acid (meaning the body cannot create it) is a powerful mood-enhancer and famously found in Thanksgiving Turkey. Tryptophan is critical for the production of our primary neurotransmitter, serotonin. Heat destroys tryptophan (noticing a trend here?) so it’s not found in large amounts in processed chocolate. Serotonin: Cacao is rich in tryptamine serotonin which diminishes anxiety and stress. Fiber: raw cacao has a lot of fiber.1 ounce (28g) has 9 grams of fiber! This is really important since most Americans do not get the daily minimum of 30g of fiber.Actually, recent studies showed that 0% of male omnivores between 18-55yrs old met the minimum! 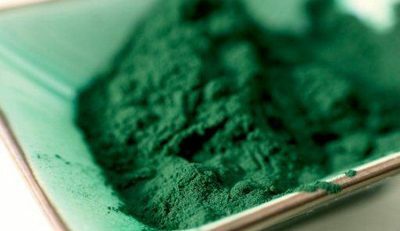 That has huge implications for health since fiber is so important in the prevention of digestive disorders, certain cancers, heart disease and obesity. Theobromine: This is a close relative to caffeine but is not a nervous system stimulant . It does dilate the cardiovascular system which helps blood flow and overall heart health. Cacao truly deserves the label “superfood”. I hope we distinguished the difference between raw, organic cacao and a Hershey bar. Don’t grab a Snickers and think you’re getting all of the nutrients we described above. Raw cacao is fairly bitter and takes some getting used to if you’re new to it. 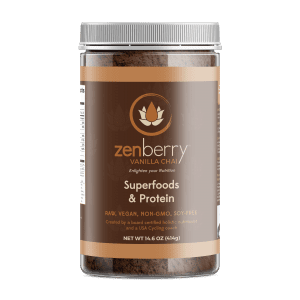 Look for raw organic cacao powders like what we use in Zenberry and make smoothies with some fruit to get your daily intake of cacao. We also love adding crunchy cacao nibs to our homemade trail mix, smoothie topper and even put them in our guacamole! 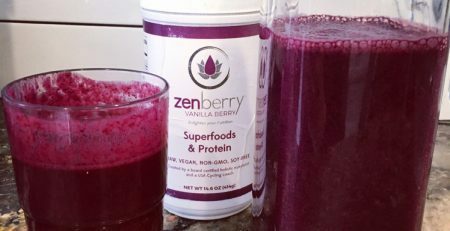 We only use raw organic fair-trade cacao in all of our Zenberry formulas. We try to get most of it from Ecuador but sometimes we fine incredibly high-quality cacao from other places like the Dominican Republic. We are constantly sampling different types and sources to bring only the best to our customers. Below is our favorite trail mix recipe. 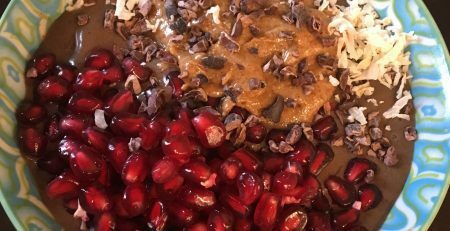 Tweak it how you like but if you don’t like the bitter cacao nibs just adding a little sweetness with raisins or other dried fruit really balances the flavor and gives you a healthy, convenient alternative to that candy bar. 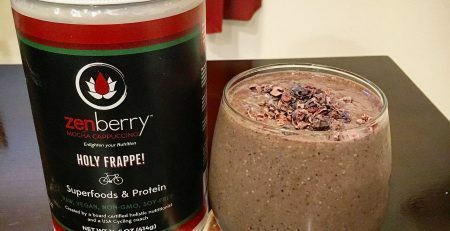 Zenberry Greens smoothie topped with organic cacao nibs.